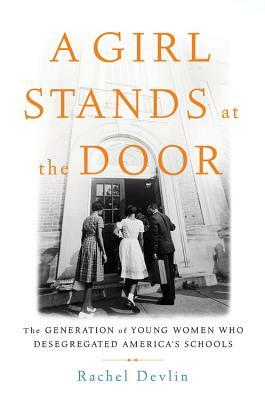 In A Girl Stands at the Door, historian Rachel Devlin tells the remarkable stories of these desegregation pioneers. She also explains why black girls were seen, and saw themselves, as responsible for the difficult work of reaching across the color line in public schools. Highlighting the extraordinary bravery of young black women, this bold revisionist account illuminates today's ongoing struggles for equality. Rachel Devlin is an associate professor of history at Rutgers University. She lives in Brooklyn, New York. "Meticulous and emotionally resonant...Devlin paints compelling portraits of largely unknown desegregation pioneers...Her interviews with the many 'firsts'...are riveting, inspiring and dispiriting."—Ms. "A Girl Stands at the Door forces us to view a central strand of civil rights history in an entirely new way. Rachel Devlin has discovered something that should have been in plain view but nonetheless has remained invisible - that girls and young women stood at the center of the massive effort to desegregate American schools. In this compelling, lucid, and deeply researched book, Devlin makes them into flesh-and-blood actors, whose words, initiative, and subtle everyday negotiations helped shape an important strand of American history."